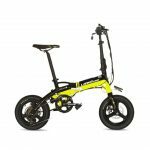 If you are in a search for a small, compact, but useful transportation bike, that won’t let you down at any point, then Extrbici A6 Folding Mini Electric Bicycle is perfect solution for you. If you are worried that this little fellow won’t do the trick in getting you from one destination to the other, then you’ve got yourself fooled big time. This little bad boy packs tons of power and strength to overcome all obstacle that you throw at it. The size doesn’t matter! This 14-inch mini folding electric bike can get you almost anywhere you want. Coming in blue-white, black-white, yellow-black, and red colours, this little fellow is very comfortable and pleasant for the eye. Its compact size only is 124*50*(95-105) cm packs quite a punch when we look at the statistics. Reinforced 6061 aluminium alloy frame, is power by high power by QH4GV 36V*240W brushless hub motor. Its compact design is very pleasant and convenient to use. 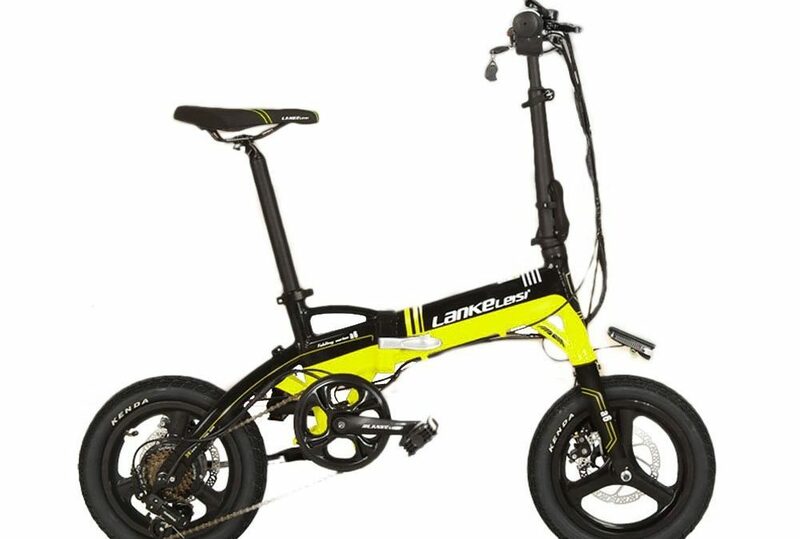 Thanks to the designers of Extrbici A6, anyone who wishes to buy powerful, reliable, elegant mini electric bicycle, can enjoy in great advantages that this model has to offer. Very strong 240-Watt motor is paired with great choice of Extrbici team of designers, 36V*8.7 lithium battery that allows rider to cover 40-50 km distance with one single charge. This battery is very well hidden from plain sight, and that brings out the beauty of this product. Charging only takes 5-7 hours and then this little beast is ready to go in action, and the charger is by EU standards. However, the good news doesn’t end here. Reinforced frame grants almost very rider the opportunity to enjoy in ride with this little fellow. Its strong structure can withstand weight of 150 kg or 330 lbs. The maximum speed that can achieve is 30 km/h which is not so bad for mini electrical bicycle. 3 speed modes are available on speed controller, thus suitable city cruising and commuting can be done. Its compact size is suitable for making short trips to the store or in the nature. The Extrbici A6 design features a very special and easy foldable mechanism. This mechanism allows you to fold the new Extrbici A6 in the middle and dispose it somewhere on the side, and with the quick release in the middle you can install it in a flash. Shifting speed isn’t left behind on this model. The Extrbici A6 is equipped with 7 speed Shimano TX30 T230 shift gears that allows without any problem quick speed shifting and excellent control. With this mini electrical bike, you can freely go out on an urban road, with smooth and easy shifting. Breaking system is upgraded with double mechanical disc breaking system, so every stroll will be safe and pleasant experience. Installed handlebar on this little electrical bike is ST 31.8 aluminium 61 cm Sports Road Bike edition, that very smoothly fits every rider. Reinforced Pro High Strength Carbon Steel front fork is the so it absorbs all impact that surface creates, so convenience and pleasant driving is secured. When purchasing this model all customers are awarded with one-year warranty for all repairs on frame, motor and batteries. Comfortable and relaxing ride with Extrbici A6 mini electrical bike, is also thanks to 14 inch*2.25 tires, that gives this small electrical bike a real charm. Also, surface impact is much lesser on rider, since these high-quality in collaboration with hard-reinforced frame, absorbs 100% of the influence. Thus, rider enjoys in sweet cruising in the nature. Extrbici A6 Folding Mini Electric Bicycle is the perfect choice if you are in need of quick stroll down the lane. However, since it packs a lot of power, going out on urban roads is also acceptable and gives very convenient feeling. Easy-folding mechanism allows quick disposing and assembling within minutes. Battery life is pretty good and distance that can be covered using only power option. HUD is designed so real-time battery life is displayed so no confusion will be made when going for a drive. Very beautiful design that stands out of the crowd. How fast can it go with paddle assistance on? The Extrbici A6 mini electrical bike is packed with enough power that can get you up to speed of 30 km with paddle assistance, and battery will last for 40-50 km at this mode. How long does the battery charges? This model is packed with heavy-power charger, that is designed on EU standards, that will fill the battery of your A6 mini bike in 5-7 hours, given the status of battery. Full recharge will last for 7 hours, and then it would be set to go. How can that small bike withstands my weight? The Extrbici A6 is reinforced with 6061 aluminium alloy frame that can easily withstand weight of 150 kg. So, don’t worry, it will surely do the trick. Read our article on Kryptonite bike locks. Very reliable and trustworthy mini electrical bike, that can withstand many difficult conditions. Easy-foldable mechanism makes it very convenient asset. Regardless its size, it still can achieve great speed and distance.